Alp Arslan (honorific in Turkish meaning "Heroic Lion"; in Persian: آلپ ارسلان‎; full name: Diya ad-Dunya wa ad-Din Adud ad-Dawlah Abu Shuja Muhammad Alp Arslan ibn Dawud ابو شجاع محمد آلپ ارسلان ابن داود;‎ 20 January 1029 – 15 December 1072), real name Muhammad bin Dawud Chaghri, was the second Sultan of the Seljuk Empire and great-grandson of Seljuk, the eponymous founder of the dynasty. As Sultan, Alp Arslan greatly expanded Seljuk territory and consolidated power, defeating rivals to his south and northwest. His victory over the Byzantines at the Battle of Manzikert in 1071 ushered in the Turkish settlement of Anatolia. For his military prowess and fighting skills he obtained the name Alp Arslan, which means "Heroic Lion" in Turkish. Alp Arslan accompanied his uncle, Tughril Bey, on campaigns in the south against the Shia Fatimids while his father, Çağrı Bey, remained in Khorasan. Upon Alp Arslan's return to Khorasan, he began his work in administration at his father's suggestion. While there, his father introduced him to Nizam al-Mulk, one of the most eminent statesmen in early Muslim history and Alp Arslan's future vizier. After the death of his father, Alp Arslan succeeded him as governor of Khorasan in 1059. His uncle Tughril died in 1063 and was succeeded by Suleiman, Arslan's brother. Arslan and his uncle Kutalmish both contested this succession. (see Battle of Damghan (1063)) Arslan defeated Kutalmish for the throne and succeeded on 27 April 1064 as sultan of Great Seljuq, thus becoming sole monarch of Persia from the river Oxus to the Tigris. Putting the Persian sword to work, they spared no one... One could see there the grief and calamity of every age of human kind. For children were ravished from the embraces of their mothers and mercilessly hurled against rocks, while the mothers drenched them with tears and blood... The city became filled from one end to the other with bodies of the slain and [the bodies of the slain] became a road. [...] The army entered the city, massacred its inhabitants, pillaged and burned it, leaving it in ruins and taking prisoner all those who remained alive...The dead bodies were so many that they blocked the streets; one could not go anywhere without stepping over them. And the number of prisoners was not less than 50,000 souls. I was determined to enter city and see the destruction with my own eyes. I tried to find a street in which I would not have to walk over the corpses; but that was impossible. En route to fight the Fatimids in Syria in 1068, Alp Arslan invaded the Byzantine Empire. The Emperor Romanos IV Diogenes, assuming command in person, met the invaders in Cilicia. In three arduous campaigns, the Turks were defeated in detail and driven across the Euphrates in 1070. 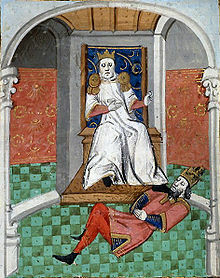 The first two campaigns were conducted by the emperor himself, while the third was directed by Manuel Comnenos, great-uncle of Emperor Manuel Comnenos. During this time, Arslan gained the allegiance of Rashid al-Dawla Mahmud, the Mirdasid emir of Aleppo. In 1071 Romanos again took the field and advanced into Armenia with possibly 30,000 men, including a contingent of Cuman Turks as well as contingents of Franks and Normans, under Ursel de Baieul. Alp Arslan, who had moved his troops south to fight the Fatimids, quickly reversed to meet the Byzantines. At Manzikert, on the Murat River, north of Lake Van, the two forces waged the Battle of Manzikert. The Cuman mercenaries among the Byzantine forces immediately defected to the Turkish side. Seeing this, "the Western mercenaries rode off and took no part in the battle." To be exact, Romanos was betrayed by general Andronikos Doukas, son of the Caesar (Romanos's stepson), who pronounced him dead and rode off with a large part of the Byzantine forces at a critical moment. The Byzantines were totally routed. Alp Arslan humiliating Emperor Romanos IV after the Battle of Manzikert. From a 15th-century illustrated French translation of Boccacio's De Casibus Virorum Illustrium. Alp Arslan's victories changed the balance in near Asia completely in favour of the Seljuq Turks and Sunni Muslims. While the Byzantine Empire was to continue for nearly four more centuries, and the Crusades would contest the issue for some time, the victory at Manzikert signalled the beginning of Turkish ascendancy in Anatolia. Most historians, including Edward Gibbon, date the defeat at Manzikert as the beginning of the end of the Eastern Roman Empire. Alp Arslan's strength lay in the military realm. Domestic affairs were handled by his able vizier, Nizam al-Mulk, the founder of the administrative organization that characterized and strengthened the sultanate during the reigns of Alp Arslan and his son, Malik Shah. Military fiefs, governed by Seljuq princes, were established to provide support for the soldiery and to accommodate the nomadic Turks to the established Anatolian agricultural scene. This type of military fiefdom enabled the nomadic Turks to draw on the resources of the sedentary Persians, Turks, and other established cultures within the Seljuq realm, and allowed Alp Arslan to field a huge standing army without depending on tribute from conquest to pay his soldiers. He not only had enough food from his subjects to maintain his military, but the taxes collected from traders and merchants added to his coffers sufficiently to fund his continuous wars. Arslan possessed a fort, which raised at the height of Alwand, from all were those within its walls, for its roads were a labyrinth, like the curls of a bride. From a learned traveler Arslan once inquired: "Didst thou ever, in thy wanderings, see a fort as strong as this?" "Splendid it is," was the traveler's reply, "but methinks not it confers much strength. Before thee, did not other kings possess it for a while, then pass away? After thee, will not other kings assume control, and eat the fruits of the tree of thy hope?" Suleiman ibn Kutalmish was the son of the contender for Arslan's throne; he was appointed governor of the north-western provinces and assigned to completing the invasion of Anatolia. An explanation for this choice can only be conjectured from Ibn al-Athir's account of the battle between Alp-Arslan and Kutalmish, in which he writes that Alp-Arslan wept for the latter's death and greatly mourned the loss of his kinsman. After Manzikert, the dominion of Alp Arslan extended over much of western Asia. He soon prepared to march for the conquest of Turkestan, the original seat of his ancestors. With a powerful army he advanced to the banks of the Oxus. Before he could pass the river with safety, however, it was necessary to subdue certain fortresses, one of which was for several days vigorously defended by the governor, Yussuf al-Kharezmi, a Khwarezmian. He was obliged to surrender, however, and was carried as a prisoner before the sultan, who condemned him to death. Yussuf, in desperation, drew his dagger and rushed upon the sultan. Alp Arslan, who took great pride in his reputation as an archer, motioned to his guards not to interfere. He drew his bow, but his foot slipped, the arrow glanced aside, and he received the assassin's dagger in his breast. Alp Arslan died from this wound four days later, on 25 November 1072, in his 42nd year, and he was taken to Merv to be buried next to his father, Chaghri Beg. Alp Arslan is widely regarded as having begun Anatolianism, although unintentionally. His victory at Manzikert is often cited as the beginning of the end of Byzantine power in Anatolia, and the beginning of Turkish identity there. Alp Arslan's conquest of Anatolia from the Byzantines is also seen as one of the pivotal precursors to the launch of the crusades. From 2002 to July 2008 under Turkmen calendar reform, the month of August was named after Alp Arslan. ^ Magill, Frank Northen (1998). Dictionary of World Biography: The Middle Ages, Volume 2. Routledge. p. 67. ISBN 978-1-57958-041-4. ^ Magill, Frank Northen (1998). Dictionary of World Biography: The Middle Ages, Volume 2. Routledge. p. 68. ISBN 978-1-57958-041-4. ^ Bosworth 1968, p. 62-65. ^ "Anni" , 'Encyclopædia Britannica, 9th ed., Encyclopædia Britannica, 9th ed. , New York: Charles Scribner's Sons, 1878, p. 72 . ^ Quoted in Norwich, John Julius (1991). Byzantium: The Apogee. New York: Viking. pp. 342–343. ISBN 978-0-394-53779-5. ^ Norwich, John Julius (1993). Byzantium The Apogee. Penguin. ISBN 0-14-011448-3. ^ R. Scott Peoples (2007). Crusade of Kings. Wildside Press LLC. p. 13. ISBN 978-0-8095-7221-2. Minorsky, Vladimir (1958). A History of Sharvān and Darband in the 10th–11th Centuries. University of Michigan. pp. 1–219. ISBN 978-1-84511-645-3. Bosworth, C. E. (1975). "The early Ghaznavids". In Frye, R. N. (ed.). The Cambridge History of Iran, Volume 4: From the Arab Invasion to the Saljuqs. Cambridge: Cambridge University Press. pp. 162–198. ISBN 0-521-20093-8. Bosworth, C. E. (1975). "Iran under the Buyids". In Frye, R. N. (ed.). The Cambridge History of Iran, Volume 4: From the Arab Invasion to the Saljuqs. Cambridge: Cambridge University Press. pp. 250–305. ISBN 0-521-20093-8.